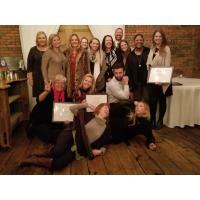 SOUTHERN PINES, NC – The Moore County Chamber of Commerce is pleased to announce the 29th class of the Moore County Leadership Institute (MCLI). This exclusive leadership program hosted by the Chamber of Commerce and has graduated over 500 participants since inception. MCLI provides participants the opportunity to grow both personally and professionally via programs with community leaders and experts. Participants learn about local history, business challenges, civic issues and community involvement as well as receive targeted leadership development training. Ultimately, these individuals are well rounded, capable leaders with a deeper understanding of civic responsibility. Upon graduation, they are encouraged to serve in the community in a volunteer capacity and to inspire others in their respective workplaces by being transformational leaders. MCLI graduates are recognized across the county as leaders in their industries and organizations. They have the knowledge, skills, and dedication necessary to achieve professional and organizational success in the dynamic association and chamber industries. The Board of Directors is proud to present this class to the community and their employers. The mission of the Moore County Chamber of Commerce is to foster a vibrant business community. They provide quality, value-added services and programs to members to unite Moore County area businesses in a committed effort to strengthen the economic environment and thus, improve the quality of life for all of Moore County. With over 700 members the Chamber is instrumental in Connecting Commerce and Community and exists to help strengthen the local economy and promote and preserve a quality of life that is second to none.